I started the book Love Does, by Bob Goff. On that same day, I heard an amazing sermon on the subject of love. I was re-reading all my marriage seminar material on Jesus' teaching on love. The word “love” seems like such a subtle little four-letter message, but wow, the study of "love" is both deep and wide! There are different kinds of love, levels of love, and meanings of this profound and powerful little word. But, "love" is not a word that should be rolled out only at weddings, anniversaries, and marriage seminars. It needs to be put on and worn continually, like our wedding rings. We also need to grow in our understanding of what love means. Jesus’ love commands are the starting point in the pre-marriage seminar that I present (Matthew 22:34-40). Jesus tells us how all-encompassing our love should be for God — “…with all your heart” (the emotional side of us), “with all of our soul” (the spiritual depths of our being), “and with all your mind” (with our thought and intellect). But, of course, Jesus goes on to say that we are to “love your neighbor as yourself.” The wise Mr. Rogers once defined the word “neighbor” as the people that we meet each day. That is a lot of love we need to spread around to other folks. We find it hard to exercise love when people cut us off in traffic, are rude at work, or ugly behind our backs. Even trying to be a loving person, I find myself failing my wife in the way I respond to her. Wow, loving my neighbor — and even the people that matter most dearly — can a challenge. Living a life of love is a tough pursuit in our world that seems devoid of God’s love. 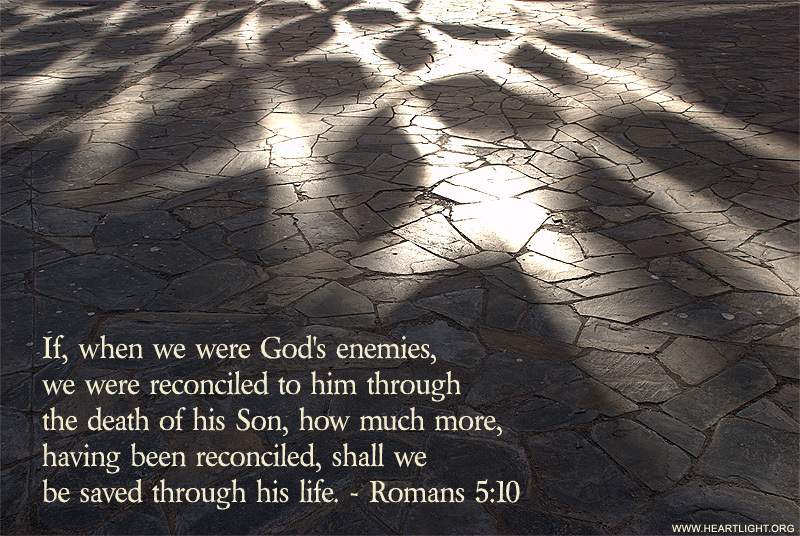 I believe that we must go back and review how God loves us. Our Father’s love is incredible and our ultimate example of what love should be. Bob Goff, in his book Love Does, says that love is an action word, a verb. God loves and pursues us. Love does not stop at thoughts and feelings. There are multi-levels of meaning to the word “love,” but genuine love is demonstrated — love does something to show itself! God doesn’t just say he loves; he does something to show that love. For God so loved the world that he gave his one and only Son, that whoever believes in him shall not perish but have eternal life. For God did not send his Son into the world to condemn the world, but to save the world through him (John 3:16-17 — Underlining added for emphasis.). This is how we know what love is: Jesus Christ laid down his life for us. And we ought to lay down our lives for our brothers and sisters. If anyone has material possessions and sees a brother or sister in need but has no pity on them, how can the love of God be in that person? Dear children, let us not love with words or speech but with actions and in truth (1 John 3:16-18 — Underlining added for emphasis.). This is how God showed his love among us: He sent his one and only Son into the world that we might live through him. 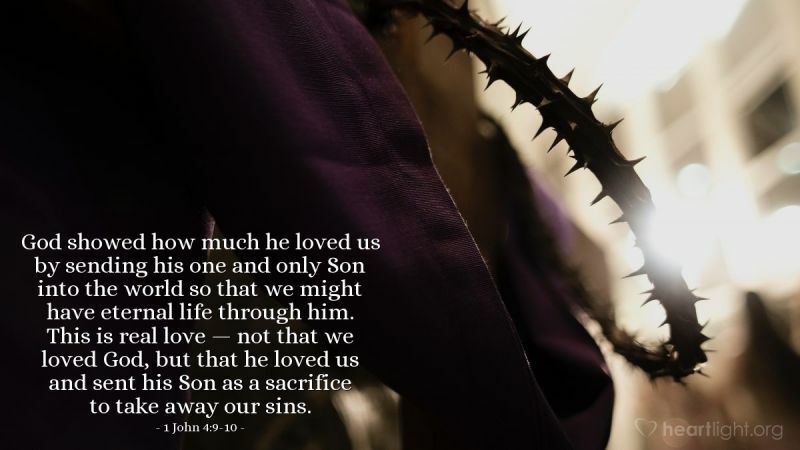 This is love: not that we loved God, but that he loved us and sent his Son as an atoning sacrifice for our sins (1 John 4:9-10 — Underlining added for emphasis.). God pursued us through Christ. Christ gave himself up to be sacrificed for our sins when we were powerless to do anything about it. That’s some powerful, sacrificial, and awesome love. And this is my prayer: that your love may abound more and more in knowledge and depth of insight… (Philippians 1:9). When was the last time that you prayed for your own growth in love? Have you ever unselfishly prayed for another’s growth in love? When bad events happen in this world, such as the Las Vegas tragedy, I wonder to myself, “Did anyone give the perpetrator of this horrible hate crime an example of true love?” Our love can make a huge difference in the lives others. Sure, some people can’t be reached by our love, but so many others can have their hearts changed by someone willing to truly love them. Yes, sometimes we can love others and get hurt by them. But, if we retreat and shrink our example to our community of safe friends who already love us, then we limit our example and do not follow the way of love demonstrated by God and Jesus. A new command I give you: Love one another. As I have loved you, so you must love one another. By this everyone will know that you are my disciples, if you love one another (John 13:34-35). First, Jesus commands us to love each other. Second, our love for each other must be demonstrated just as his love for us was demonstrated. Third, the world will know us by our example of loving each other. We are his “light on the hill” displaying his love for us in our love for one another. Our love should be a bright example to others of Jesus’ love. It should be what differentiates Christians, Jesus’ disciples, from other faiths and from the darkness of our world reflected in the headlines. I know that asking our Father for our love to increase for others is one petition he longs to answer! You are the light of the world. A town built on a hill cannot be hidden. Neither do people light a lamp and put it under a bowl. Instead, they put it on its stand, and it gives light to everyone in the house. In the same way, let your light shine before others, that they may see your good deeds and glorify your Father in heaven (Matthew 5:14-16). So, let’s let our “love light” shine for all to see: at home, at work, at play, in the marketplace, and on the road. Beautiful words about love — like the great chapter in our Bibles on love (1 Corinthians 13:1-13) — should be spoken at more than just at weddings. Even when spoken frequently, love should be taken out and lived daily. Love should be the clothes we wear as followers of Jesus. Then, as we let our love light shine, that love can be seen in startling contrast to this dark world and our very sad headlines so filled with hate. Now about your love for one another we do not need to write to you, for you yourselves have been taught by God to love each other. And in fact, you do love all of God’s family throughout Macedonia. Yet we urge you, brothers and sisters, to do so more and more… (1 Thessalonians 4:9-10). And now these three remain: faith, hope and love. 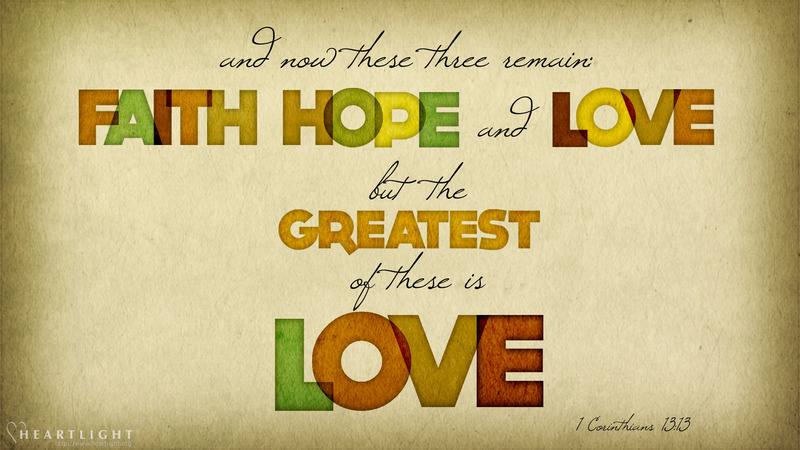 But the greatest of these is love (1 Corinthians 13:1—13). When was the last time we compared our love to God's definition of what true love means? "Simple, Complex, and Awesome" by Byron Ware is licensed under a Creative Commons License. Heartlight encourages you to share this material with others in church bulletins, personal emails, and other non-commercial uses. Please see our Usage Guidelines for more information.